John Bolton, who has a history of advocating muscular foreign policy, will guide the White House as the new national security adviser in facing threats from Russia, Iran, North Korea, and China, experts note. President Donald Trump picked Bolton, who served as U.S. ambassador to the United Nations under President George W. Bush, to replace Army Gen. H.R. McMaster. News of the appointment came Friday, three days before Trump expelled 60 Russian diplomats and intelligence officers from the United States and weeks before the president is tentatively set to meet North Korean dictator Kim Jong Un. The change also comes as the administration wrestles with fixing or nixing the Iran nuclear deal made by former President Barack Obama, and as China continues its economic and military expansion. 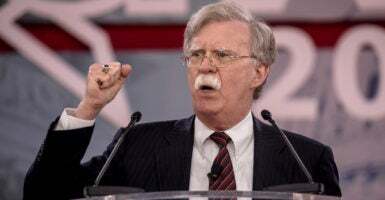 “John Bolton has the desire to help the president succeed as the president has defined his goals, and that is something the president hasn’t had to date in a national security adviser,” Frank Gaffney, president of the Center for Security Policy, a think tank, told The Daily Signal. McMaster had succeeded retired Army Gen. Michael Flynn, who resigned only days into the job as questions arose over his not being forthcoming about a telephone conversation with the Russian ambassador before Trump’s inauguration. Gaffney said threats to the U.S. are multifold and span space, cyberspace, the electric grid, and economic warfare, from both state and nonstate actors. Bolton, a senior fellow at the American Enterprise Institute who will assume his new duties April 9, visited the White House on Monday. In the Bush administration, Bolton was widely viewed as a strong interventionist, a seeming contrast to Trump’s campaign rhetoric about keeping the United States out of foreign entanglements. 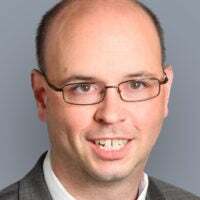 The difference will be more in style than policy, predicted James Jay Carafano, vice president for national security and foreign policy at The Heritage Foundation. Bolton largely will be in sync with existing administration policy, isn’t a strong philosophical departure from McMaster, and is on the same page as U.N. Ambassador Nikki Haley, Carafano said. The administration’s expulsion Monday of 60 Russians, believed to be intelligence officials for the Kremlin, came in retaliation for Russia’s suspected role in the poisoning of a British citizen and his daughter. The action also comes amid charges of Russian meddling in the 2016 presidential election. And last week, the U.S. criticized Russia for increasing its deployment of cruise missiles that violate the 1987 Intermediate-Range Nuclear Forces Treaty. “I think we will really see Bolton pressing Russia more over compliance with the the Intermediate-Range Nuclear Forces Treaty,” Carafano said. Trump also recently nominated CIA Director Mike Pompeo to replace Rex Tillerson as secretary of state, and nominated Gina Haspel to replace Pompeo in running the Central Intelligence Agency. Unlike those appointments, Bolton will not require Senate confirmation. Too many variables exist in the Trump administration to know whether or how long Bolton will last, said David Helfenbein, a former Obama State Department official who served as special assistant to the secretary in the Office of White House Liaison. I do personally believe that John Bolton will be around for a while and that Trump and he will work well together (as opposed to the countless others who have been let go before his time). But whether we actually notice any dramatic differences in foreign policy, only time will tell. At the end of the day, the president is in charge and he lets those around him know it. Numerous Democrats, including former President Jimmy Carter, are critical of Bolton. Amid attacks in the mainstream media, Bolton on Sunday tweeted a supportive editorial from The Wall Street Journal about his appointment.